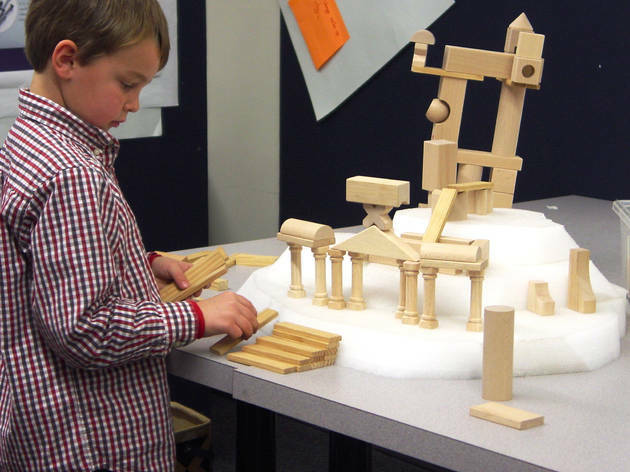 Inspired by the aesthetic of midcentury designers Charles and Ray Eames, this BCM offering is less an exhibition and more of a hands-on design studio filled with models, building elements, photos and architectural plans for kids to play with. 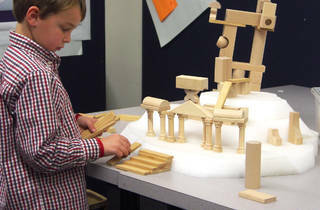 Various interactive “workbenches” and “job sites” encourage young visitors to explore the process of building and the nature of architecture by coming up with solutions to common engineering and architectural challenges. In the process they’ll come to fully appreciation the diverse needs of a building’s inhabitants. Ages 2 to 8.